Maryann D’Agincourt was born in Boston, Massachusetts. She is an alumna of Simmons College. She earned two graduate degrees in English literature. 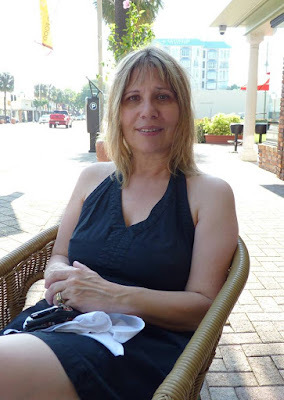 She has also studied at the Humber School for Writers, Toronto. 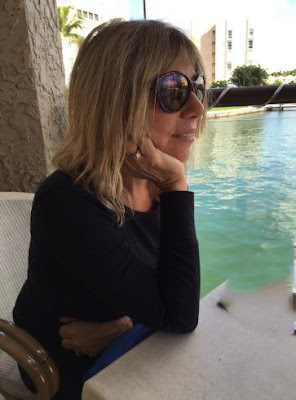 At the beginning of her career, she wrote design columns for a regional newspaper in the Connecticut Valley. Subsequently, her short stories were published in literary magazines. Her novel Journal of Eva Morelli, and the short story "Wade's Technique" were both finalists in the William Faulkner-William Wisdom Competition, novel-in-progress, and short story competition, respectively. In September 2013, her short story collection, All Most, was published by Portmay Press. Welcome, Maryann D’Agincourt. It was amazing to learn about the great impact of paintings in your life. Spending an entire summer's day at the ocean with family and friends, observing my aunt sitting in her lounge chair reading a Russian novel, taking a long walk along the shore with one of my friends or cousins are some of my favorite memories. I majored in English literature in college and have an MA in English literature as well as a Master of Philosophy degree in English literature. I had planned to either teach and do scholarly research in the field. I eventually chose to write fiction because I preferred a creative response to literature opposed to a critical one. In terms of writing, I am inspired by paintings. I am partial to Manet, Van Gogh, Hopper, Matisse, Klimt, and Kirchner. I started writing when I was a child, about ten years old. I attempted to write a novel. a synopsis of your work? 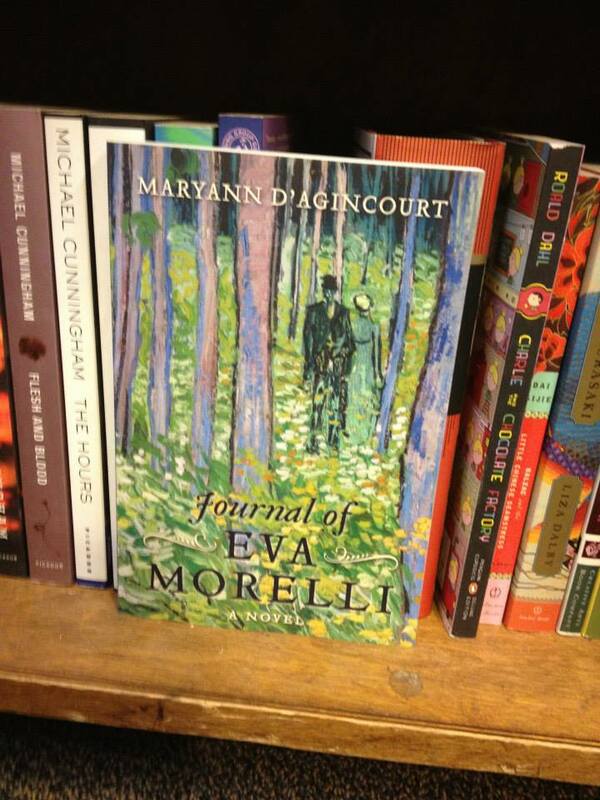 My novel Journal of Eva Morelli has been published, as well as my short story collection, All Most. 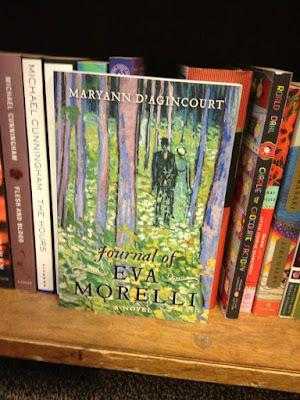 Journal of Eva Morelli takes place in a coastal New England town. There are three important characters--Eva, whose journal entries are interspersed throughout the novel; Stephen, the psychiatrist Eva goes to see; and Brea, Stephen's wife, an actress who performs in the local playhouse. When the elusive Eva steps into Stephen's office and begins to reveal the story of her own tragic past, his convictions start to crumble. Over the sweltering summer that follows, Stephen becomes more and more haunted by obscure memories of his childhood as he wonders what secret could be so terrible that Eva can only reveal it in her journal. I am currently working on a novel about a woman, her husband, and their visitor. Firstly, I need to realize each character and do so by writing a draft. Secondly, I establish the setting. Thirdly, I work on the language. And lastly, I repeatedly edit the work. The Brothers Karamazov by Dostoyevsky is my favorite novel because it is so encompassing. Thanks, Maryann D’Agincourt. I think the inspiration that comes from paintings helps you in creating great writing. Such is the impact of great things in life. Your novel Journal of Eva Morelli and other work are fine examples.